Synopsis: Being alive is hard. Being human is harder. But since his recent recovery from death, R is making progress. He’s learning how to read, how to speak, maybe even how to love, and the city’s undead population is showing signs of life. R can almost imagine a future with Julie, this girl who restarted his heart—building a new world from the ashes of the old one. 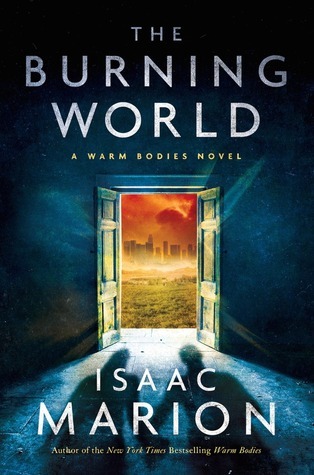 So Isaac Marion has been talking about The Burning World for what feels like years now and FINALLY it’s officially available for pre-order! It’s a real thing and I am basically a flailing hot mess of anticipation. I absolutely loved Warm Bodies! I’m so excited to see what happens in a world where they actually find the cure–kind of–to the zombie virus. Even more so, what the new threat may or may not be, because that synopsis is :insert fire emoji:! And more R. More Julie. My body is ready. I saw Isaac Marion tweet about this and almost cried, haha. I HAVE BEEN WAITING FOR FOR SO LONG IM SO EXCITED!!! I remember thinking this was never going to happen, haha. Seriously, he’s be talking about this book coming out for 2 years minimum. lol Now it’s only about 6 more months. I can live with that at least knowing it’s finally actually coming.